These compositions come from the fourth and final cycle of psalms composed by Jan Dresden-based musician composed three cycles comprising thirty-three psalm and Magnificat settings for the Office of Vespers. Each cycle began with the psalm Dixit Dominus and it then developed with psalms required to serve one or more sequences for almost every Vespers service of the liturgical year. In 1726 Zelenka began to enter these works into his Inventarium rerum Musicarum Ecclesiae servientium, the personal inventory of sacred music that he began keep on 17 January of that year. Under the heading ‘Psalmi Vespertini totius anni’ these entries demonstrate that his thirty-three Vespers compositions were conceived in three cycles over approximately three years for the Catholic court church of Dresden, a royal chapel dedicated to the Most Holy Trinity. The unavoidable assumption is that this was a well-considered and deliberate plan. The psalms of this final cycle have no such plan or purpose. Listed under the title Psalmi varii: J.D.Z: Separatim Scripti, this group seems to represent additional works composed for a variety of occasions. The last extant setting was finished at an unknown time, certainly after mid 1730. The cycle includes the longest and most brilliant of all Zelenka’s psalm compositions intermingled with works of great simplicity, settings undoubtedly intended for the young Bohemian vocalists and instrumentalists of the court church’s music ensemble, the Kapellknaben. On the other hand, the longer virtuosic works which reveal developments in Zelenka’s vocal writing (extended vocal compasses and wide dynamic ranges) must have been composed for singers and instrumentalists of Dresden’s renowned Hofkapelle. These larger settings include Laudate pueri (ZWV 81, 1729), Laetatus sum (ZWV 90), and the now-missing Laudate pueri (ZWV 80) which Zelenka entered into the Inventarium as ‘a 2 Canto e Basso. Violini 2, Oboe 2, Traversa 1, Viola, Fagotto e Basso Continuo’. This listing suggests a composition operatic in style, a vocal duet with solo instrumental concertante accompaniment. In April 1730 a group of young singers arrived in Dresden. They had been trained in Italy during the 1720s for the revival of the opera, a project initiated by the Saxon electoral prince and his wife Maria Josepha. The male vocalists of this group were the sopranos Ventura Rochetti and Giovanni Bindi (he was sixteen when he first arrived), and the altos Domenico Annibali and Casimiro Pignotti. One of their teachers, the male altist Antonio Campioli, also came with them. It is likely that Zelenka composed two of the virtuosic psalm settings and re-arranged one other for singers from this group of castrati. Developments also were taking place in the ensemble of young musicians who provided the ordinary music for Dresden’s Catholic court church. In 1727 the recently-appointed Superior of this church, Father Franz Nonhardt SJ, decided that all Saturdays and ferial days preceding Marian feasts were to be celebrated with the singing of litanies. Moreover, the Rorate Mass was to be sung on the ferial days of Advent. Clearly, more musicians would be required for these additional services. (Initially it had been determined that there were to be ten musicians: six vocalists who also were to serve at the altar, and four instrumentalists). Beginning in mid-October 1727 when the Kapellknaben returned to Dresden from annual holidays with their families in Bohemia­­, it is evident that word had gone out to Bohemia that additional musicians were required to serve Dresden’s Catholic court church. Within a week, entries in the daily journal of the Dresden chaplains, the Diarium Missionis, demonstrate the success of a recruiting drive: ‘A cantor came from Apostelberg with two musicians who were auditioned’; ‘Two more altos brought here from Tetschen’; ‘Letter sent to the cantor Lejpenti who had offered two musicians’; ‘The young alto from Tetschen, Thadeus Thollkopf, was taken on.’ By early 1729 the Dresden Kapellknaben ensemble comprised ten singers, two violinists, and an organist. In 1730 the number of musicians totalled fourteen, and by 1732 there were seventeen, including a bassoonist and two horn players. Between December 1728 and January 1729, the Diarium Missionis mentions a bass singer named ‘Krancke’ as having been a guest at meals in the Jesuit house. Another adult singer, the tenor and ex-horn player Johann Joseph Goetzel received similar invitations ­– a sure sign that those musicians had helped the Jesuits, almost certainly by singing with the Kapellknaben in the royal chapel. At a later time, probably during the first half of the 1730s, Zelenka took many of his psalm settings into yet another catalogue. Titled simply Psalmi varii, this later corpus comprises works from his collection of settings by other composers, as well as various items from the Psalmi varii: J.D.Z: Separatim Scripti (but notably, none from the ‘Psalmi Vespertini totius anni’ are found here). Included in the Psalmi varii are only those psalms and canticle required for the Sunday Vespers: Dixit Dominus (nine settings); Confitebor tibi Domine (nine); Beatus vir (thirteen); Laudate pueri (sixteen); Laudate Dominum (six); the canticle Magnificat (ten). This suggests that Zelenka had become responsible for directing the music for ordinary Sunday Vespers in Dresden’s royal Catholic chapel. His listings in Psalmi varii also reveal that at that time he standardised most instrumental accompaniments for the psalms by adding a pair of oboes and a viola part, and replacing the original basso continuo section of strings and organ with organ alone. The addition of two trumpets and timpani to one psalm (the opening Dixit Dominus by the Bohemian composer Franz Poppe) and two Magnificat settings (one by Poppe; one by Johann Georg Reinhardt) demonstrate that these works also would serve high feast days when it was customary to have a trumpet and timpani choir in the opening and closing Vespers items. Copies of four works from Zelenka’s Psalmi varii once were held by musicians of the Metropolitan Cathedral of Prague, St Vitus. The Bohemian organist, gamba player, cellist, jurist, and Capellae Magister of the Cathedral from 1734 until his death, Johann Anton Görbig (1684–1737), held a copy of Zelenka’s late composition Laetatus sum (ZWV 90). Violinist and composer Josef Antonín Sehling (1710–1756), who unsuccessfully applied for Görbig’s position in 1737 but remained attached to the Cathedral as an instrumentalist, acquired almost 600 items of sacred music during his lifetime, including nine works by Zelenka – a corpus that later passed into the possession of the Cathedral. (Archiv Pražského hradu: Knihovna metropolitní kapituly, hudební sbírka katedrály svatého Víta—hudební sbírka Kaple sv. Kříže katedrály, Prague: CZ-Pak). With the exception of one late setting of Ecce nunc benedicite, a psalm for the Office of Compline, the surviving items of Zelenka’s final cycle bear this basic dedication formula (or similar): ‘A M D G V M OO SS H AA P J R’ (or ‘P i R’), a sequence of letters honouring God (A M D G—‘Ad Majorem Dei Gloriam’), the Virgin Mary (V M—‘Virgini Mariae’), saints (OO SS H—‘Omnibus Sanctis honor’), and Zelenka’s patron[s], the electoral prince (AA P J R—‘Augustissimus Principibus in reverentia.’). Interestingly, the only source of the brilliant setting of Laetatus sum, today missing from Dresden but kept as a set of parts from the collection of the Metropolitan Cathedral, has this dedication: ‘A M D G B S V M H’. Thus, the final letters that refer, we believe, to the commissioning patron are omitted here, as they also are omitted from other sources of Zelenka’s music found in Prague and in works composed for Dresden before mid-1725. Lauda Jerusalem in A minor (ZWV 102). Composed circa 1728, this short, through-composed setting certainly was intended for the vocalists and instrumentalists of the Kapellknaben ensemble. It is composed for four-part chorus (the sopranos are supported by two oboes) with an instrumental accompaniment of three real parts for unison violins, viola, and basso continuo – all playing a semi-ostinato pattern throughout. A copy of Lauda Jerusalem (ZWV 102) is found today as a set of eight parts in Prague, part of Sehling’s collection. In 1765 this work was performed in the Cathedral’s St Wenceslaus chapel. The comment ‘bonus’ written into a part reminds us that twenty years after his death Zelenka’s music was still heard in Prague and this little setting of psalm 147 was considered to be good. Laudate pueri in D (ZWV 81). It is probable that Zelenka wrote this brilliant solo work for Easter Sunday, 17 April 1729. The score bears the partially destroyed date: ’13 April […]’. Originally the composition was written for a tenor with obbligato trumpet. The technical demands of the vocal part suggest that Zelenka was thinking of Mattheo Lucchini, the solo tenor of the court who finally left Dresden in 1731 after the arrival of the young castrati. At a later time Zelenka revised this work by giving the original tenor part to a soprano. The singer Zelenka probably had in mind was the male soprano Venturio Rochetti, known as ‘Venturini’. The original obbligato trumpeter would have been a member of Dresden’s ensemble of twelve court trumpeters and timpanists, possibly Ober-Hof-Trompeter Christian Becke. Zelenka’s Laudate pueri, whose final Allegro is composed in the manner of a Polonaise, reflects the high Baroque tradition of motet composition for solo voice in three movements (quick – slow – quick) with da capo arias for the outer movements. An interesting point of comparison is the similarity of scoring and writing of Laudate pueri of circa 1729 to Bach’s cantata Jauchzet Gott in allen Landen (BWV 51), a work thought to have been performed in Leipzig in 1730 on the 15th Sunday after Trinity. De profundis in A minor (ZWV 95). Zelenka dated this setting ‘29 Decem 1728’. Psalm 129 is required only for Vespers of the Octave of Christmas: 25 December until 1 January. Members of the Kapellknaben ensemble (who had holidays from 24–28 December) would have sung and played the first performance of this brief setting which Zelenka penned the day after he had completed the ‘Credo’ of his Missa Circumcisions D.N.J.C. (dated ‘1728 28 Decem.’). Of 49 bars length, this De profundis is the shortest of all Zelenka’s Vespers compositions. As a model, perhaps Zelenka used a work from his own collection, a De profundis setting by Johann Caspar Fischer which also is composed in 49 bars. Despite its brevity, Zelenka employed the structure known as ‘Frame form’ whereby the opening music returns at the doxology text Sicut erat in principio (as it was in the beginning). The autograph score of this work reveals the pressure under which Zelenka often had to work. Originally, the upper strings and oboes simply doubled the SATB chorus and the bass line lacked figures. (‘VV et Oboe colla Voci al Solito’ is written at the head of the first page, and the text is only partially sketched). At a later time Zelenka returned to add simple independent violin parts to this setting, as seen in music incipits of Dresden catalogue listings of 1765 and circa 1784. Dixit Dominus in C (ZWV 67). This lively, through-composed work of little more than three minutes duration is another of those brief compositions written for the Kapellknaben ensemble. Scored for SATB soloists, SATB chorus, and accompanied by violins 1 and 2, viola, basso continuo with a pair of ‘ad lib.’ oboes, the setting has many elements used by Zelenka to depict the text in other settings of psalm 109: frame form, downward octave leaps at scabellum pedum (footstool), and a hint of the stile concitato at the text confregit in die irae suae reges ([He] hath broken kings in the day of his wrath). Autograph features of Zelenka’s original score suggest that he wrote this work towards the end of 1728. A set of eleven parts kept in Prague, including two for C trumpets, come from Sehling’s collection. Confitebor tibi Domine in C minor (ZWV 71). Zelenka dated this setting for solo bass voice ‘1729’. A haunting refrain on the words Confitebor tibi, tibi, tibi Domine – always in the key of C minor – is a feature of this composition. Interestingly, Zelenka did not set the text of the second verse of the psalm, perhaps an indication that this work was intended for the Office of Sunday Vespers when the required antiphon is verse 2 of the psalm: Magna opera Domini. When this eloquent work was taken into the later Psalmi varii collection a pair of oboes and a viola were added to the original accompaniment of violins 1 and 2, and the original basso continuo section was replaced by organ. A notable feature of the dedication formula is that it concludes with the letters ‘PP in R’, which perhaps suggests that both the Saxon Electoral Prince Friedrich August and his wife Maria Josepha were involved with the commission of this work. Confitebor tibi Domine in E minor (ZWV 73). Composed either late in 1728 or early in 1729, this brief, energetic setting of psalm 110 seems to be a companion work to Dixit Dominus (ZWV 71). Each is through-composed, and each undoubtedly was intended for performance by the Kapellknaben. Composed over 99 bars for tenor and bass vocal soloists with four-part chorus with two oboes moving between doubling the unison violins and the choral sopranos, the usual accompaniment of strings and basso continuo plays a quasi-ostinato figure throughout. At verse 9, Sanctum et terrible nomen ejus: initium sapientaiae timor Domine (Holy and terrible is his name: the fear of the Lord is the beginning of wisdom), Zelenka incorporates a short dramatic szene, a feature heard in his earlier settings of psalm 110. Nine parts made by Sehling are held in Prague. Laetatus sum in A (ZWV 90). This brilliant composition is the last of Zelenka’s psalm settings known to exist. Unfortunately, the autograph score no longer is found in Dresden. Instead, this work is kept as a set of eight parts in Prague, once part of of Görbig’s collection. This, the most difficult, longest, and most galant of Zelenka’s psalm compositions, is set in six movements as a series of splendid arias and duets for solo soprano and alto with rich orchestral accompaniment. Surely this was intended for the castrati, soprano Venturini and one of the Italian-trained male altos, suggesting the date of composition as being post 1730. A notable feature of the work is the manner in which the fourth movement is set to the text of verses 7 to 9: Fiat pax in virtute tua: et abundantia in turribus tuis … (Let peace be in thy strength: and abundance in thy towers …). Here, Zelenka employs the style and structure of the Polish Mazurka, seemingly to remind his listeners of the neighbouring Kingdom of Poland which then was ruled by the Elector of Saxony and King of Poland, August II (‘the Strong’). 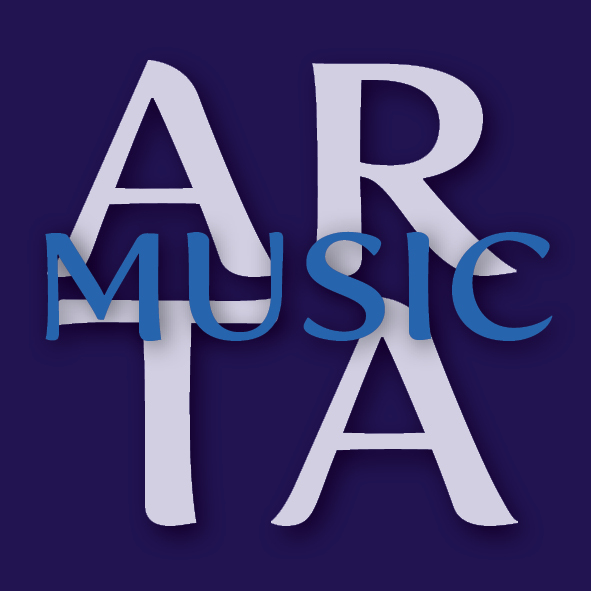 A pair of flutes are used as obbligato instruments in this beautiful aria for solo alto. The flautists of Dresden’s Hofkapelle at that time, Pierre-Gabriel Buffardin and Johann Joachim Quantz, would have been in Zelenka’s mind when writing this movement. Thus, Zelenka created a brilliant showcase for two castrati accompanied by favoured instrumentalists of the Hofkapelle for a high feast day in Dresden’s royal Catholic chapel. Ecce, nunc benedicite in A minor (ZWV 99). Psalm 133 is the fourth psalm required for the Office of Compline. Composed for four-part choir with a simple accompaniment of strings and basso continuo, this late work from circa 1739 is the only known setting Zelenka made for the final office of the day. While minor alterations to Latin texts occasionally are found in Zelenka’s psalm compositions, a more interesting deviation occurs in the third verse of this setting. Zelenka replaced the word manus (hands) with voces (voices), thus changing the text of verse 3 as follows: In noctibus extollite manus vestras in sancta, et benedicite Dominum (In the nights lift up your hands to the holy places) to In noctibus extollite voces vestras in sancta, et benedicite Dominum (In the nights lift up your voices to the holy places).